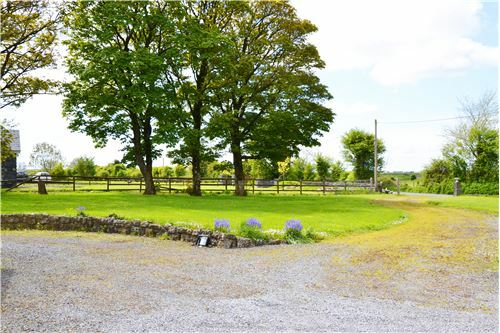 Property for sale on a 0.64 acre site with option to purchase adjoining 2.57 acres to the rear (totalling 3.21 acres under folio GY86669F). 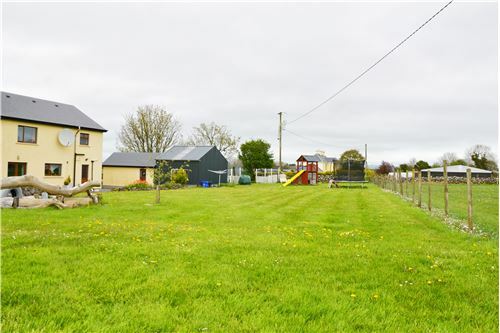 RE/MAX present to market a superb 4 bedroom detached house located in Mahanagh, Corofin, Co. Galway - approximately 7km from Tuam on the Galway side or just 3km from Corofin village. 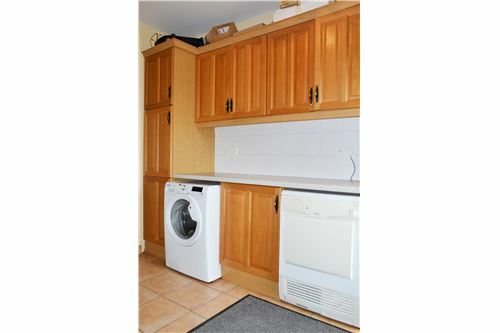 This well built property is presented in excellent condition throughout, having been upgraded and maintained throughout the years. 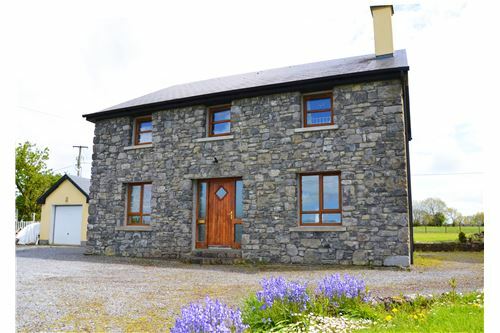 Built in 2005, the property extends to approx. 1,722 sq ft. spread over 2 floors. 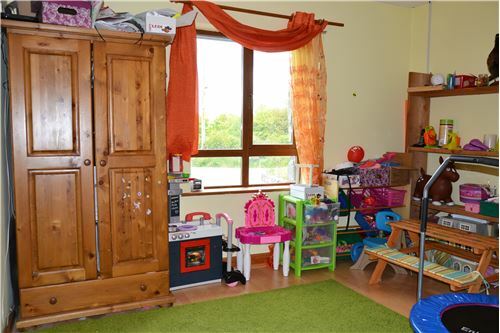 Accommodation on the ground floor consists of an entrance hall, living room, kitchen-dining room, utility, downstairs bedroom, wet room/shower room. On the first floor is a landing, main bathroom, hot press, master bedroom with ensuite, and two additional bedrooms (1 with walk in wardrobe). Attached to the property is a boiler room/WC. 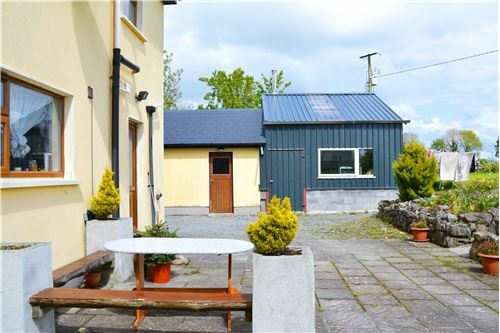 Externally is large garage with roller door entrance, separate garage room with own door access and a recently built workshop. The property holds an impressive C2 BER certificate having had the cavity walls pumped, attic well insulated, along with double glazed windows throughout. Heating consists of oil fired central heating (OFCH), separate and optional use solid fuel central heating system located in the workshop, and a solid fuel open fire place in the living room. 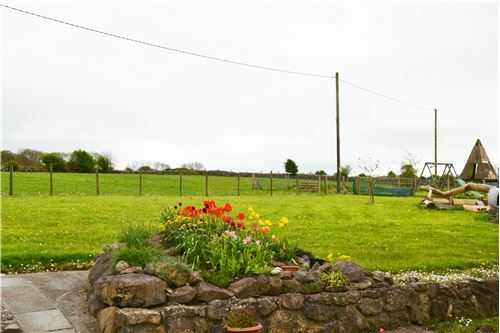 The property sits on a large but manageable 0.64 acre site. 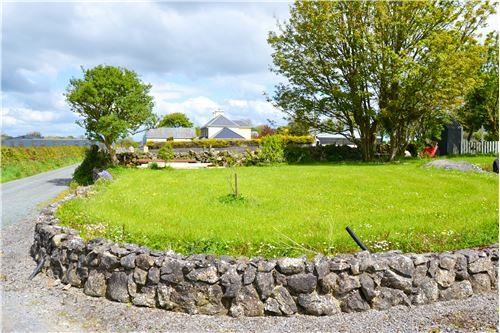 Surrounding the property are mature trees, excellently landscaped lawns, dwarf stone walls, flower beds, patio, wrap around driveway, a chicken coop and children\'s play area. 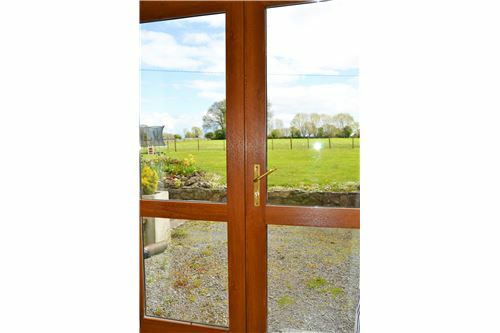 This spacious property would suit a multitude of buyers and must be viewed to experience its true character. An extensive list of the properties features can be found below. 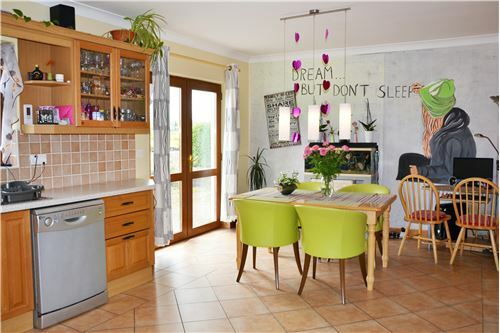 Call Fergal Hynes at RE/MAX on 091 330 300 for more information. - Stone facade to the front. 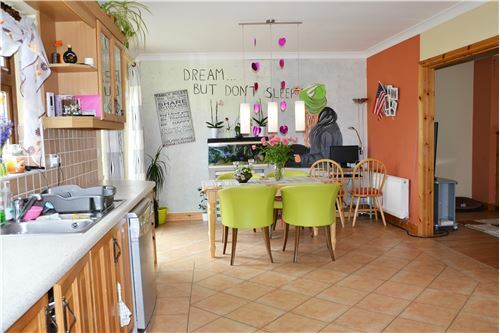 - Detached 2 storey property. 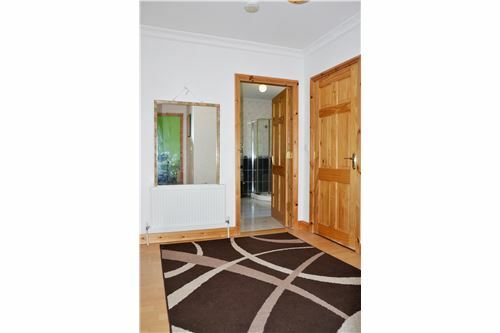 - Extends to c. 1,722 sq. ft. / 160 sq. m.
- Option to purchase additional 2.57 acres of land to the rear (totalling 3.21 acres). - 4 large double bedrooms, one with ensuite one with walk in wardrobe. 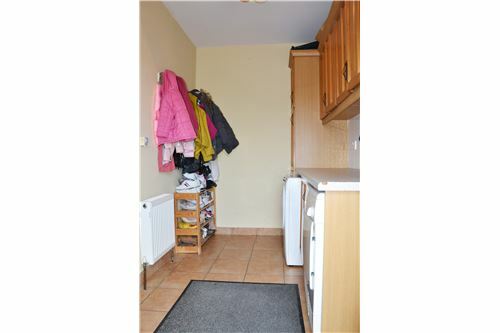 - 1 bedroom located on the ground floor. 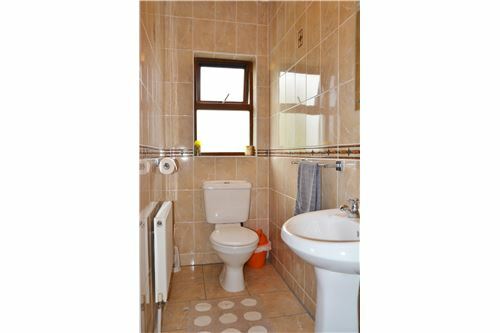 - 1 Main Bathroom, 1 shower room/wet room, 1 ensuite, 1 external WC. 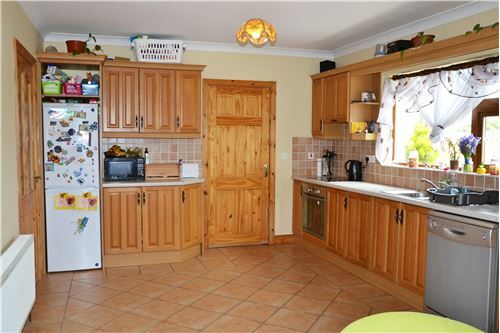 - Bright property, perfectly positioned for sunlight throughout the day. 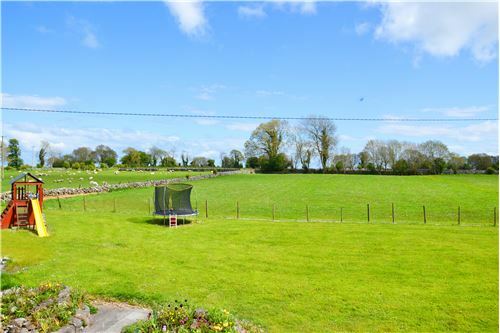 - Aspect: South West facing rear garden. - Flooring - high quality laminate and tiled flooring. - Wall coving on the ground floor. - Heating: oil fired central heating, solid fuel open fireplace, impressive solid fuel central heating system in the workshop to the rear. - 6 inch fibreglass attic insulation. - Septic tank on site. - Attic storage, partially floored. 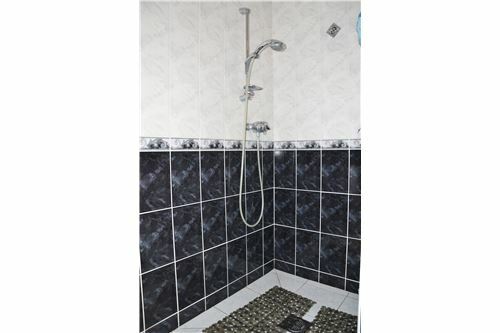 - 2 standalone showers (1 x electric shower, 1 x mixer shower) & separate bath. - Roller garage with separate garage room (own separate entrance). - Recently built workshop with planning permission. - Boiler room and WC. 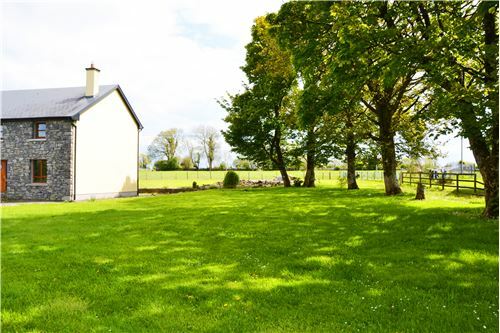 - Approx distance by car: Corofin - 5 mins, Tuam - 10 mins, access to M17 motorway - 10 mins, Galway City - 30 mins. 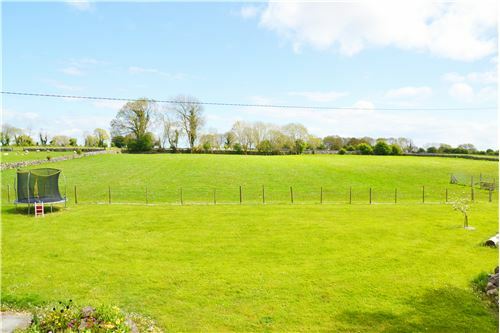 Property for sale on a 0.64 acre site with option to purchase adjoining 2.57 acres to the rear (totalling 3.21 acres under folio GY86669F). 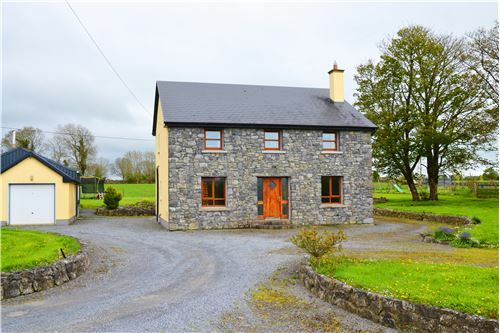 Asking Price of property on 0.64 acres: 260,000e RE/MAX present to market a superb 4 bedroom detached house located in Mahanagh, Corofin, Co. Galway - approximately 7km from Tuam on the Galway side or just 3km from Corofin village. 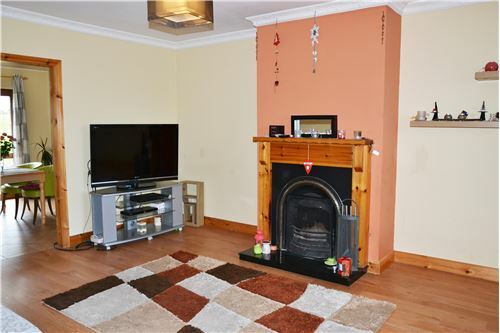 This well built property is presented in excellent condition throughout, having been upgraded and maintained throughout the years. 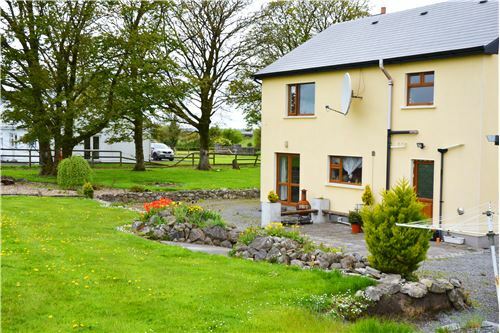 Built in 2005, the property extends to approx. 1,722 sq ft. spread over 2 floors. Accommodation on the ground floor consists of an entrance hall, living room, kitchen-dining room, utility, downstairs bedroom, wet room/shower room. On the first floor is a landing, main bathroom, hot press, master bedroom with ensuite, and two additional bedrooms (1 with walk in wardrobe). Attached to the property is a boiler room/WC. 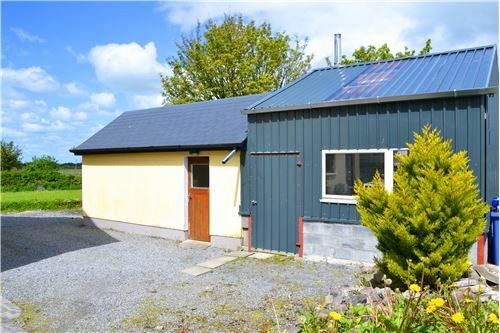 Externally is large garage with roller door entrance, separate garage room with own door access and a recently built workshop. 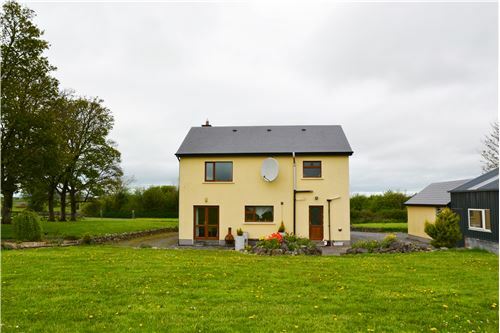 The property holds an impressive C2 BER certificate having had the cavity walls pumped, attic well insulated, along with double glazed windows throughout. Heating consists of oil fired central heating (OFCH), separate and optional use solid fuel central heating system located in the workshop, and a solid fuel open fire place in the living room. 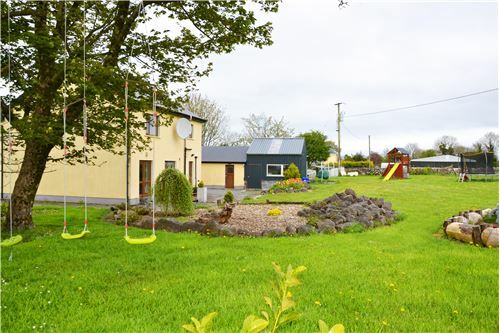 The property sits on a large but manageable 0.64 acre site. 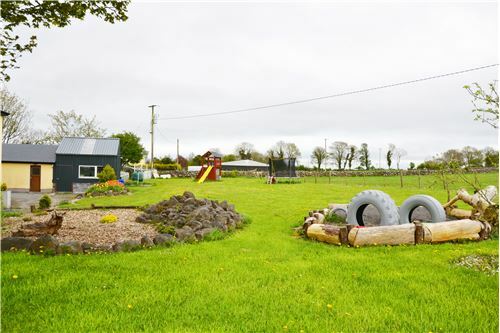 Surrounding the property are mature trees, excellently landscaped lawns, dwarf stone walls, flower beds, patio, wrap around driveway, a chicken coop and children\'s play area. 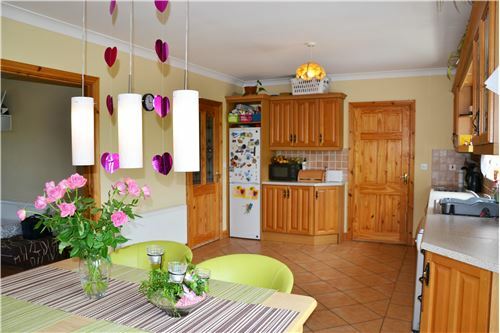 This spacious property would suit a multitude of buyers and must be viewed to experience its true character. An extensive list of the properties features can be found below. 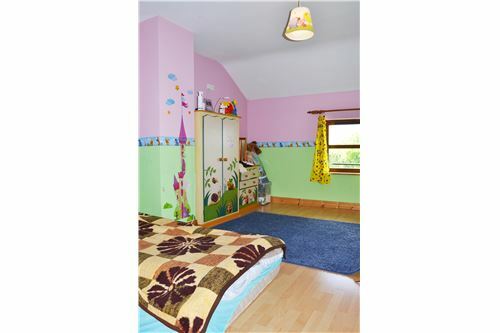 Call Fergal Hynes at RE/MAX on 091 330 300 for more information. 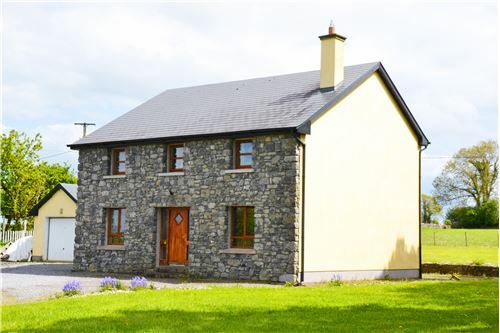 INFO & FEATURES: - Built in 2005 - Masonry build. - Stone facade to the front. 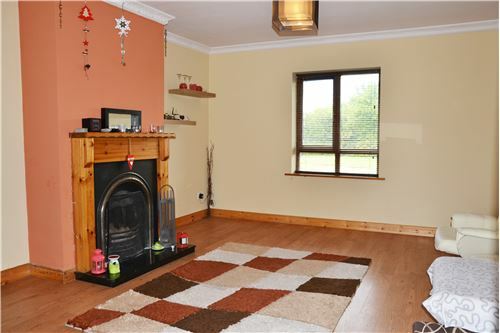 - Detached 2 storey property. - Extends to c. 1,722 sq. ft. / 160 sq. m. - Private sale. - 0.64 acre site. 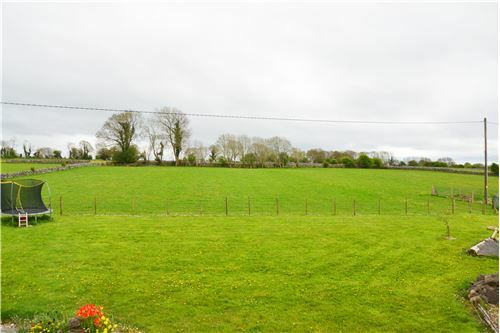 - Option to purchase additional 2.57 acres of land to the rear (totalling 3.21 acres). - 4 large double bedrooms, one with ensuite one with walk in wardrobe. 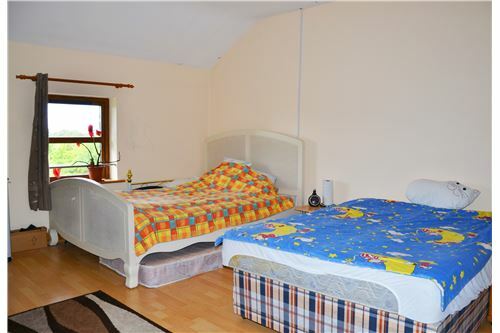 - 1 bedroom located on the ground floor. 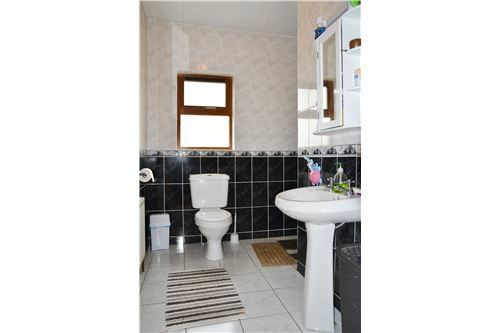 - 1 Main Bathroom, 1 shower room/wet room, 1 ensuite, 1 external WC. 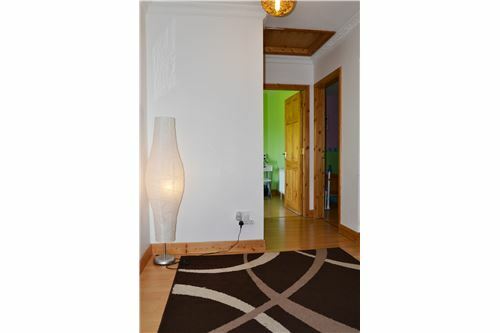 - Bright property, perfectly positioned for sunlight throughout the day. 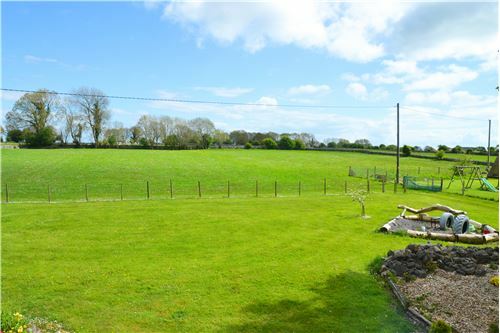 - Aspect: South West facing rear garden. 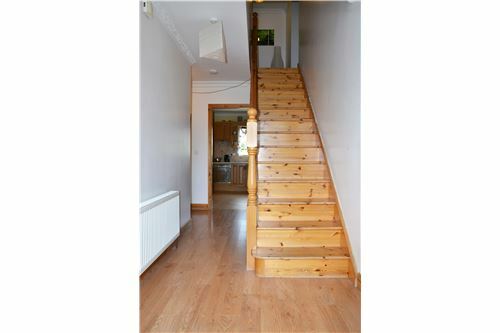 - Flooring - high quality laminate and tiled flooring. - Wall coving on the ground floor. - C2 BER on BER number 104142849 - Heating: oil fired central heating, solid fuel open fireplace, impressive solid fuel central heating system in the workshop to the rear. - Double glazed windows. - Cavity wall insulation - 6 inch fibreglass attic insulation. - Group water scheme. - Septic tank on site. - Attic storage, partially floored. 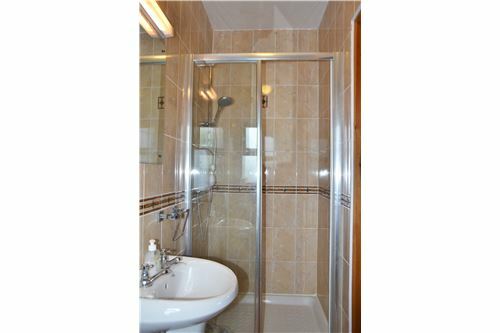 - 2 standalone showers (1 x electric shower, 1 x mixer shower) & separate bath. - Separate utility. - Pinewood stairs. - Landscaped garden. - Dwarf stone walls. - Wrap around driveway. - Patio. - Children\'s sand/play pit. - Chicken coop. - Roller garage with separate garage room (own separate entrance). - Recently built workshop with planning permission. - Boiler room and WC. 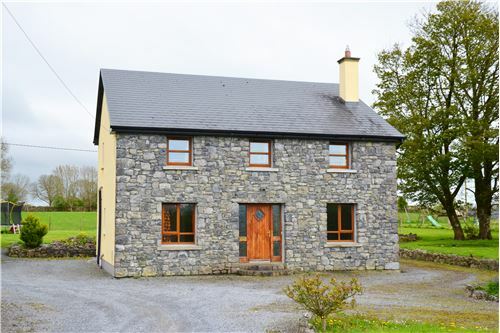 - Approx distance by car: Corofin - 5 mins, Tuam - 10 mins, access to M17 motorway - 10 mins, Galway City - 30 mins. ACCOMMODATION: Ground Floor: Entrance Hall Living Room Kitchen/Dining Room Utility Wet Room/Shower Room Bedroom 1 First Floor: Landing Hot Press Bedroom 2 (Master) Ensuite Bedroom 3 Walk in Wardrobe Bedroom 4 Main Bathroom Garden: Main Garage Separate Garage Room Workshop Boiler Room/WC NOTE: These particulars are not to be considered a formal offer. They are for information only and give a general idea of the property. They are not to be taken as forming any part of a resulting contract, nor to be relied upon as statements or representations of fact. Whilst every care is taken in their preparation, neither RE/MAX Property Experts nor the vendor accept any liability as to their accuracy. Intending purchasers must satisfy themselves by personal inspection or otherwise as to the correctness of these particulars. No person in the employment of RE/MAX Property Experts has any authority to make or give any representation or warranty whatever in relation to this property.